Christmas time sure is different today than how it used to be. The endless shopping, the over-the-top parties, the flashy decorations…When does it end? By the time you’ve caught up on everything, Christmas is over. When did it become this way? Remember the good ol’ days as a child, how exciting Christmas time was? Don’t you wish you could just relax and relish in the happiness and joy that this wonderful season brings? No more maxing out your credit cards on gifts the kids won’t play with, and no more constant worry about how to “one-up” your neighbors. Go back to how it felt when you were a child. Easier said than done, right? How about a few ideas to light that spark and help you remember how you “used to” enjoy this holiday season? Artificial trees are popular. Most households have one. But where is the excitement in buying a boxed, pre-lit tree from a mass chain store? 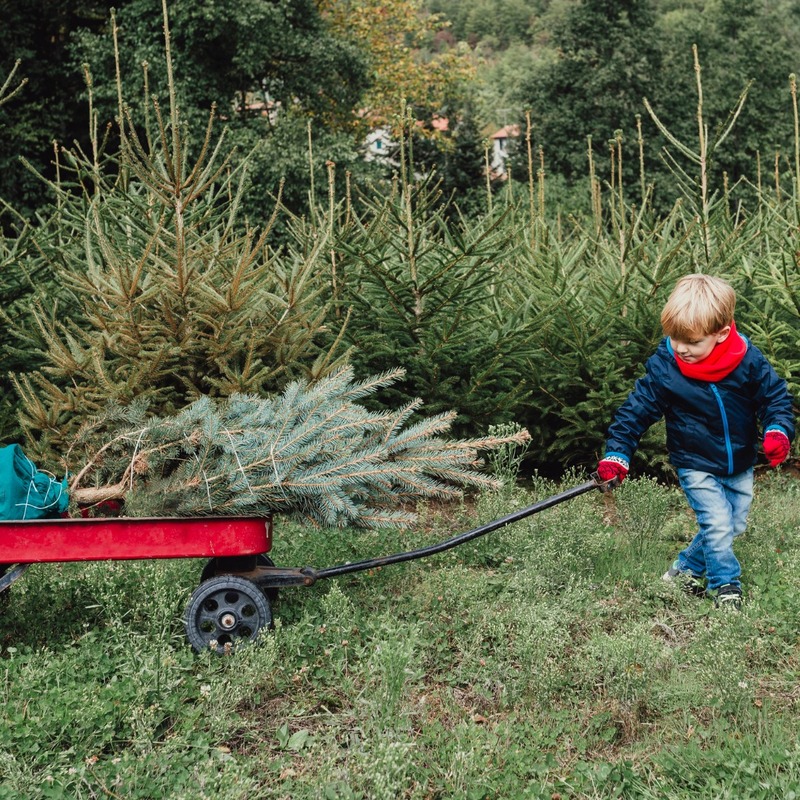 Take your family with you on a hunt for the perfect real tree in the mountains. (Just remember to bring a tool to cut it down). Together you’ll enjoy the memories you make from this fun tradition, and you’ll have stories to tell for years. Don’t be a Scrooge when it snows. Remember the good ol’ days when you used to spend hours outside building snowmen and igloos? (Not to mention the fun snowball fights you’d find yourself in). Grab your family, snow clothes, and a sled, and head to a hill where you’re sure to have hours of fun together, and burn off all those extra calories from the sugary treats. There’s something so nostalgic and magical about ice skating around Christmas. Whether you glide gracefully on the ice, or you trip over your own feet, lasting memories are sure to happen at an outdoor rink under the lights. Is there anything more relaxing than watching the Macy’s Thanksgiving Day Parade? This old school classic parade has been around since 1924 (just one year before the first FatBoy was made). It is the world’s largest parade and can be enjoyed for three hours by simply turning on your television. The early days of the parade used live animals and almost resembled a circus. It wasn’t until years later where balloons became more common. You don’t have to be Clark Griswold to enjoy the seasonal light displays, especially if your “little lights aren’t twinkling, Clark.” You can still enjoy other Christmas light displays around your town. It’s one of the easiest and most fun ways to get in the spirit of Christmas. To see some extravagant Christmas light displays from 2017, click here. Ahhhh… the sweet smells of peppermint, cinnamon, and baked goods coming from the kitchen are a wonderful way to help you get a good taste of this fun classic Christmas tradition. Bake some yummy holiday treats from scratch with your family, or grab some frosting, graham crackers, and candy canes to make your own gingerbread houses. Remember being curled up in bed during a heavy snowstorm outside, while your mom read to you? Classic books like “The Night Before Christmas,” Charles Dickens’ “A Christmas Carol,” or “The Polar Express” will never go out of style, just like our FatBoy novelties. It’s time to whip out these fun books again and share them with your family. You can still enjoy the fun, traditional Christmases you grew up with and loved as a kid. Just remember to put your smartphone down, and take time to savor the moments spent with your loved ones and friends. While Christmas gifts come and go, your memories will always stay. And while you’re at it, you can enjoy one other classic tradition–eating a FatBoy Sandwich or Sundae. Don’t forget to try one of our delicious seasonal flavors before the holidays are over!